We know how challenging and chaotic the telecom industry can be — especially frustrating when it comes to critical projects effecting your organization. We identify the right vendor for your environment using a proprietary methodology which includes weighted criteria in economics, technology and support. When it comes to complex telecom projects, the time, cost and risk to your organization can be far-reaching. Clients choose Renodis to minimize these factors. 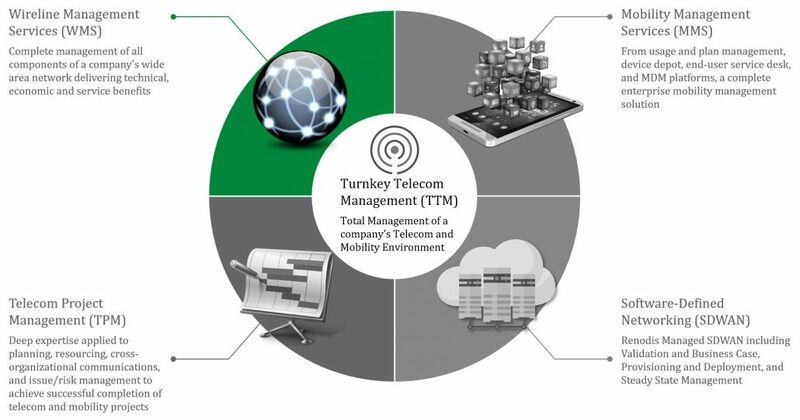 Our expertise reduces risk and ensures on-time execution of telecom asset changes. Increase your IT staff efficiency by reducing down-time. With an eye on your entire environment, we ensure your telecom expenses are accurate and predictable. We ensure effective management of telecom contracts and eliminate the risk of out-of-market pricing. We work with you to ensure future alignment between business requirements and emerging technology.